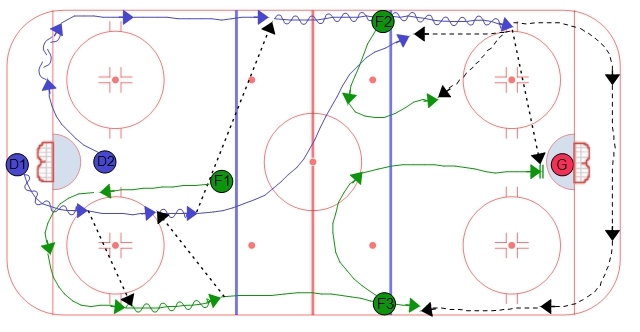 Double Swing Power Play Breakout - Hinge back to D1 | Ice Hockey Systems Inc. 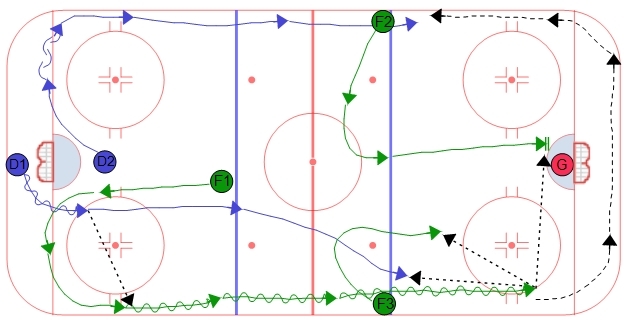 In this option the forward that receives the puck from the defense off the first pass passes it back to the defense. 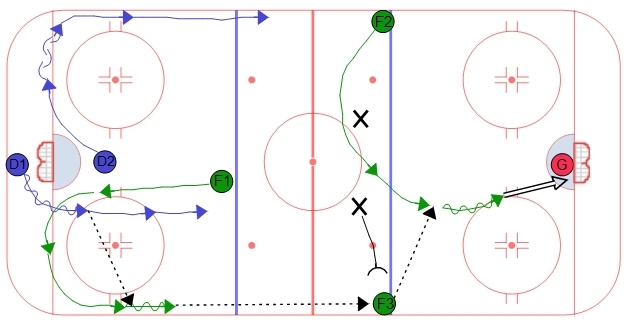 The defense then makes a pass to the other side of the ice to the other player that was swinging to the other corner. 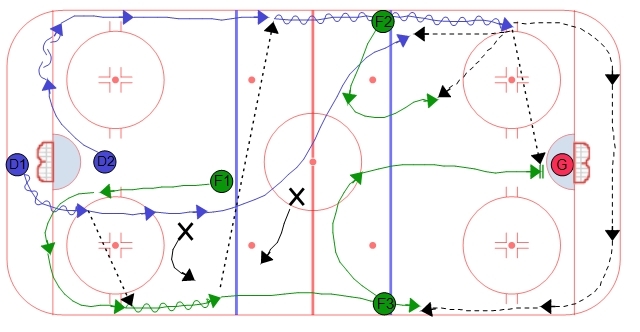 F2 and F3 do the same thing and pull the opponents defense to the middle of the ice by coming off the wall and creating a lane for the puck carrier.